The Ancient Arts Fellowship is a Dark Ages re-enactment group based in Canberra which provides historical and educational displays. The Fellowship has been providing quality entertainment and education to Canberra since the club's founding way back in 1986. 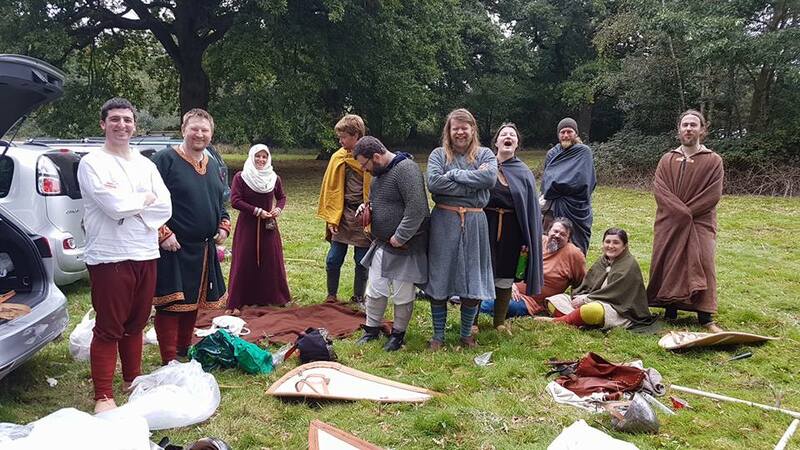 Our members fight safely using period techniques and reproduction armour and weapons. We create costume, jewellery, armour and accessories according to documented period styles. We shoot traditional bows and feast on food that William the Conquerer would have eaten. The club focuses on Northern Europe and Britain in the 8th - 10th century, starting with the first Viking raids around AD790, and ending with the Norman invasion and the Battle of Hastings in AD1066. However, our members also like to branch out into other locations and other periods.